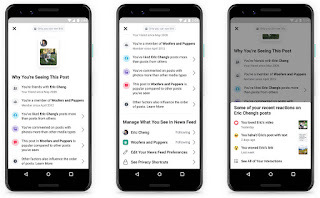 Facebook on Why Am I Seeing This? I get that this will give you info on the "why" but how does this help you manage what you see in your news feed? For example, I do monthly giveaways and, once or twice a year, I build a complete killer gaming rig to raise money for charity. I share those types of things on Facebook so that my friends and colleagues that do not read my website daily can win stuff too. Personally, I think it would help if there was a way to block certain types of posts from someone, so that you aren't being bombarded with stuff you aren't interested in or annoyed by without having to block or unfollow the actual person..ie: love the car pics but hate the giveaway announcements. Just a thought on this announcement from Facebook. 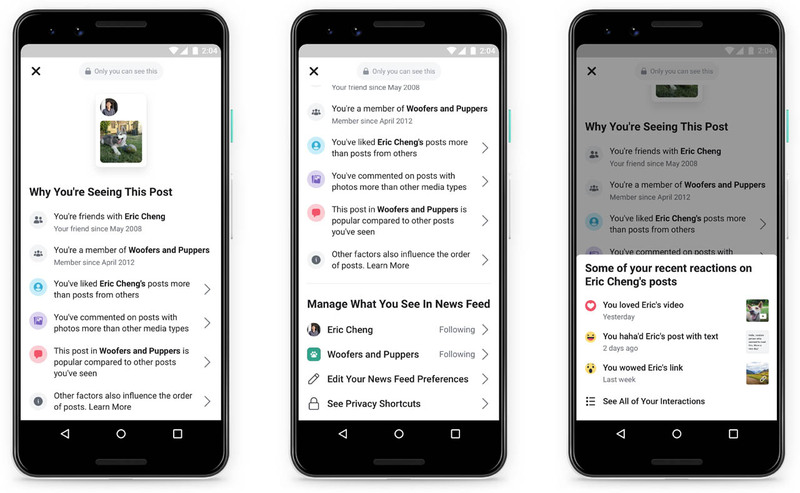 We’re introducing “Why am I seeing this post?” to help you better understand and more easily control what you see from friends, Pages and Groups in your News Feed. This is the first time that we’ve built information on how ranking works directly into the app.